BLOG — AFEE - Allendale Foundation for Educational Excellence, Inc.
Have an idea for a grant? You can download the Burger of the week form here. 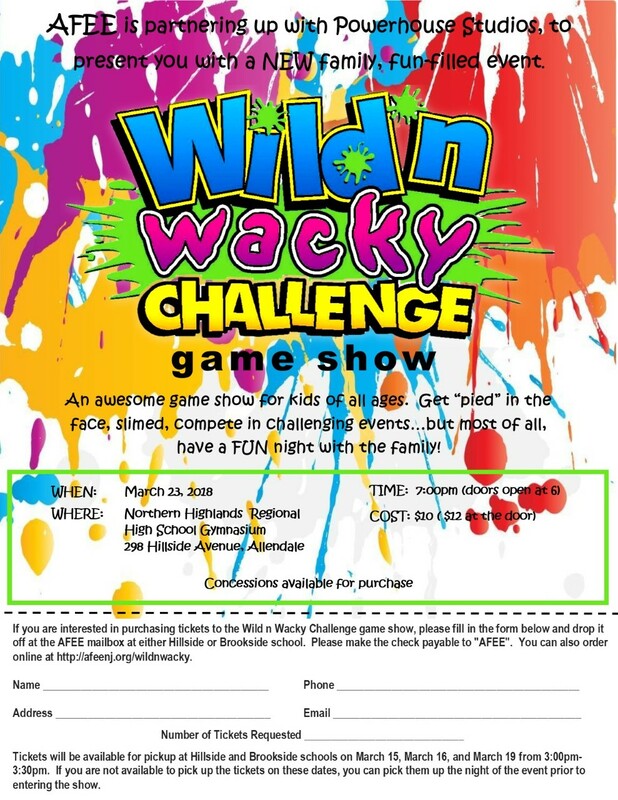 AFEE’s largest fundraiser! Join us for an adult night out filled with raffle baskets, a silent auction, a live auction, dinner and drinks among good friends. Click here to RSVP and purchase tickets online. 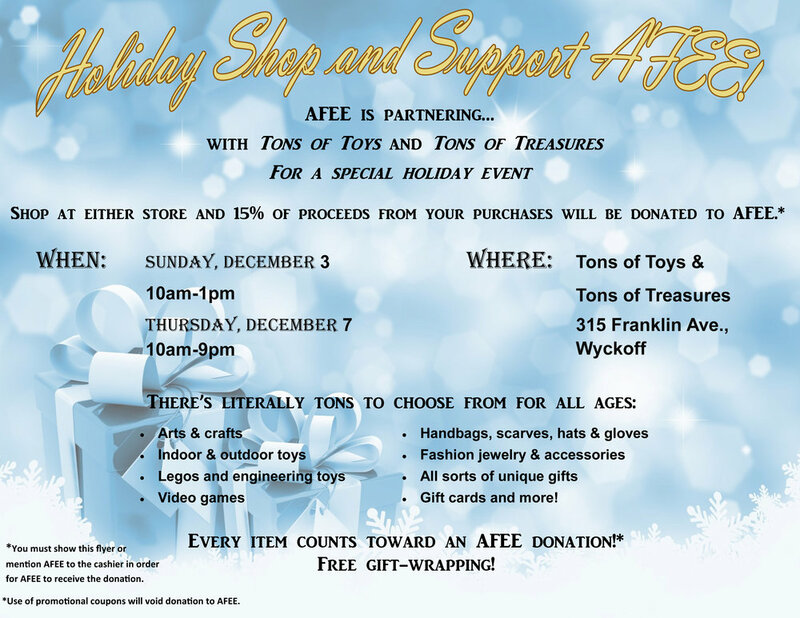 AFEE is partnering with Tons of Toys and Tons of Treasures in Wyckoff for a special holiday event. Shop at either store on Sunday, December 3 (10am - 1pm)(yes, a Sunday!) or Thursday, December 7 (9am - 9pm) and 15% of proceeds from all of your purchases will be donated to AFEE! * (you just have to mention AFEE or show the flyer. There's literally Tons to choose from for all ages and free gift wrapping! Come to Tons of Toys & Tons of Treasures, 315 Franklin Ave., Wyckoff, to shop and support AFEE! Our Burger of the Week winner is Drew Petrow! 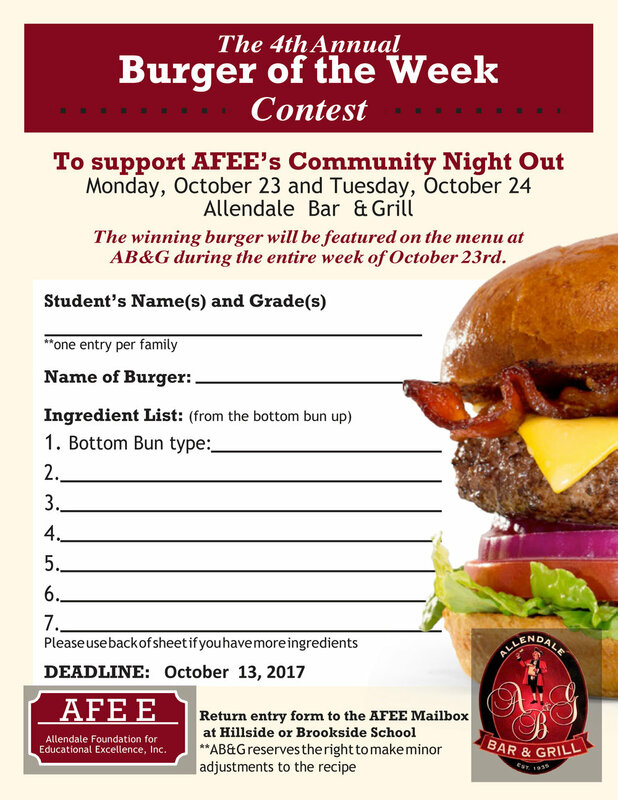 Our Burger of the Week winner, Drew Petrow, enjoyed AFEE’s Community Night Out last night. Head to the AB&G for lunch, dinner or take-out today and try Drew’s burger. The AB&G will generously donate a portion of the proceeds to AFEE to enrich our schools! Don’t forget to mention AFEE! We’re proud to announce a new partner in our fundraising efforts. We’ve joined TD Bank’s Affinity Membership Program, which provides our organization the opportunity to earn annual cash contributions. We’re thrilled with the ease of participating in this program and that there is no cost to our organization or our members. For additional information, visit your local TD Bank Store. Tickets for 2017 Auction are available online! If you are a Faculty member, click here to RSVP. Burger of the Week Contest!! Deadline: Oct 14th!! It's almost time for AFEE's Community Night Out. 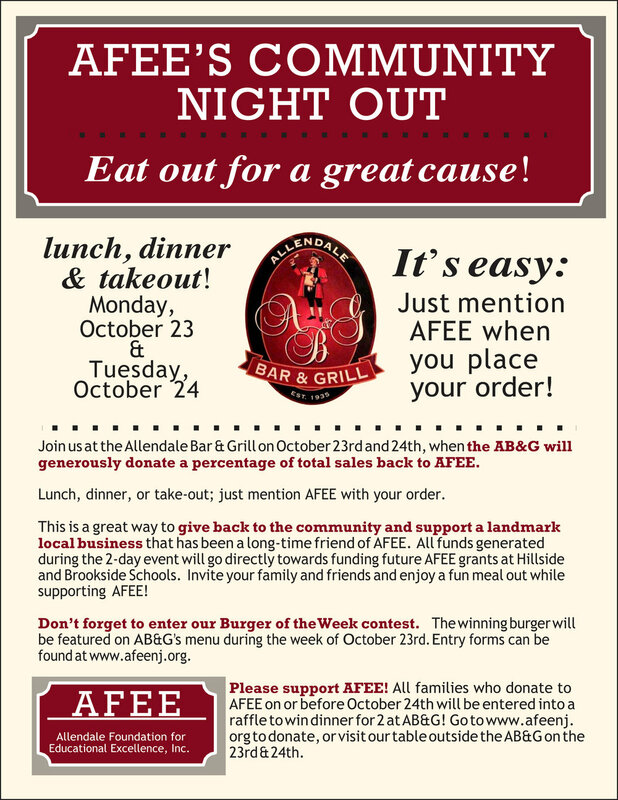 Have lunch, dinner or takeout from the Allendale Bar & Grill on Monday October 24th or Tuesday October 25th and mention AFEE when you place your order. The AB&G will generously donate a percentage of total sales back to AFEE to enrich our schools! AFEE - ALLENDALE FOUNDATION FOR EDUCATIONAL EXCELLENCE, INC.
AFEE would like to thank Ceci De Freitas for creating this website.